Become a Creative Partner with Initials, Inc.
You are here: Home / Direct Sales / Become a Creative Partner with Initials, Inc.
With a hip, entrepreneurial approach and solution-based design, Initials, Inc. has created a unique business opportunity for women. 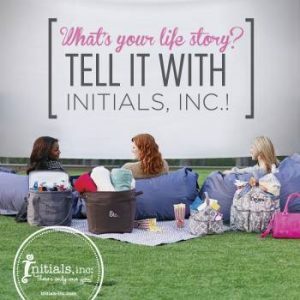 Initials, Inc.’s opportunity gives women personal freedom with their own business, whether they are looking for a way to make some extra cash or a way to earn a living. Initials, Inc. is taking on the 14 billion-dollar handbag and home organization industry in a fresh new way. The company offers unlimited earning potential, award-winning training and personal development opportunities, and a high-quality, on-trend product line that you will be proud to represent. As an entrepreneur with Initials, Inc., you will be able to build a strong and sustainable business that yields immediate results. Happy. Hip. Helpful. The brand promise to you – the way they do what we do. Connections. You are a part of a team so you have resources beyond the company for support. iMap. The easy and fun iMap Binder offers you step-by-step direction on building a successful business. iMap is included in your Starter Kit. Training that invests in YOU! Initials, Inc. has been awarded the coveted DSA Ethos award for its investment in consultants through training. Unprecedented programs, unprecedented success. A Smart Start. A strong beginning to your business is important. Through the Smart Start Program you can earn over $585 in additional free product in your first 90 days as a Creative Partner with Initials, Inc.
iRewards for you and your family. From electronics to trips of a lifetime, you can earn it for FREE through your business. $49 an hour: On average what a NEW Creative Partner earns in her Initials, Inc. business. 25%: Sales percentage a NEW Creative Partner earns on everything she sells! ONE: The number of parties it takes most Creative Partners to pay for their Starter Kit. 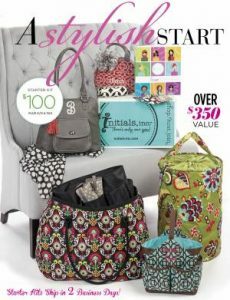 $585: Amount of FREE products and services you can earn in your first 90 days through SMART START. Sisters and Founders Britney Vickery and Ivy Hall found themselves restless as new mothers who gave up their careers for family and were searching for an outlet for their creativity and business-savvy. Beginning Initials, Inc. as a humble embroidery and monogramming business in 2005, Britney and Ivy have raised the company to a multi-million dollar business sensation with over 10,000 consultants, a place on the Inc. 500/5000 America’s Fastest Growing Private Company list two years running and a DSA ETHOS Award for Salesforce Development. Start living your best life today! Starter kits are $100 (plus shipping, handling, and tax), and they ship in 2 business days! Visit www.initials-inc.com/join. This is a sponsored post. Please be aware we only promote advertising from companies that we feel we can legitimately recommend to our readers. Please see our disclosure policy for further information. No, they don’t operate in India.